Both in life and in banking technology, few have the luxury to start over with a clean slate. Banks usually have to build upon the investments (and mistakes) of prior years. Banks built their entire business eco‑system around core banking solutions and technology that were designed, developed, and enhanced over the last 3 decades. These solutions and technology may be considered ‘legacy’ from the modern technology perspective. But, from the bank’s operational perspective, these solutions are robust, functional, reliable and regulatory compliant. 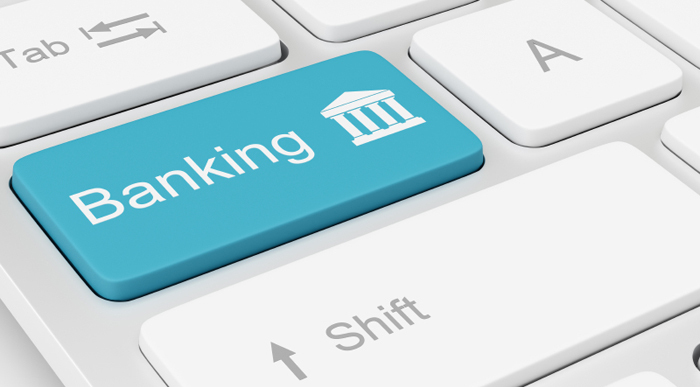 On top of that, banks have invested millions training people and establishing processes to run their business operations using these legacy solutions. Hence few financial institutions, if any, will have the appetite for the business and reputation risk of swapping their entire current technology platforms for a modern technology platform in ‘big bang’ fashion. At the same time, today’s banking consumer expects a vastly different experience and services from their banks – which the legacy technology platforms of the bank, on their own and in their current state, cannot support. Consumers want to transact in real-time from multiple channels seamlessly and expect the same experience in every channel (i.e., omnichannel). Consumers expect their banking experience to be intuitive, easier, flexible and also fully secure at the same time. Consumers also demand that their banks provide all the new ‘cool’ features available in the marketplace (for example, P2P, virtual cards, cardless ATMs, biometric security, mobile deposits, etc.). In most instances, the bank’s current technology platform either cannot integrate with these ‘cool’ features, or the release cycle duration needed to integrate these features is too long to meet the modern consumer’s ‘instant gratification’ expectations. Further, consumers expect their banks to ‘know’ them and offer them the right products and services at the right times (even though most modern consumers have not, nor ever will, step into a bank branch or speak with a human banker in their entire banking relationship).The only cost effective and reliable way for a bank to understand their customers’ behavior/needs and offer them the right products and services is to analyze voluminous amounts of behavioral data to gain insights into their needs. Current legacy platforms, on their own, cannot support this. The challenge banks face is clear: They have robust, reliable, regulatory compliant and battle tested core platforms. They also have an army of well-trained people and robust processes to run those legacy platforms. But, the consumer wants a modern banking experience that is tailored to his or her individual lifestyle, which requires modern technology and innovation. Fortunately, there is a way for banks to provide their consumers the banking experience, products and features that they are looking for without requiring the full replacement of the bank’s entire technology platform – the banks can ‘have their cake and eat it too’. The answer involves two-speed architecture, an approach that will enable financial institutions to provide consumers state-of-the-art banking experiences; customer-centric, a truly modern user experience and service offerings, while preserving the reliability of their legacy platforms. Two-speed architecture insulates the reliability of the legacy platforms while removing their limitations. It also enables banks to react to changes in consumer expectations quickly and offer features that the consumer expects – and surprise and delight them with innovated features they didn’t even know were possible – without the limitations and technological constraints of their legacy systems. Two-speed architecture reduces the time to market for consumer experience enhancements. Microservices and mediated APIs, which are an integral part of two-speed architecture, allow banks to quickly develop, A/B test and deploy new features to consumers, with zero downtime to their banking operation. It also allows banks to collect and analyze vast amounts of behavior data at the consumer-facing component level without overloading the legacy transaction processing engines. In a nutshell, two-speed architecture allows banks to reap the benefits of providing their customers with a modern experience while using their legacy core platform at a reduced cost, with much less risk and faster than having to replace their entire technology platforms. While this may not offer the same level of flexibility as ‘starting with a clean slate’, in my opinion, the amount risk mitigation and cost savings the two-speed architecture provides is worth giving up some of the luxury of flexibility that the ‘clean slate’ approach provides.